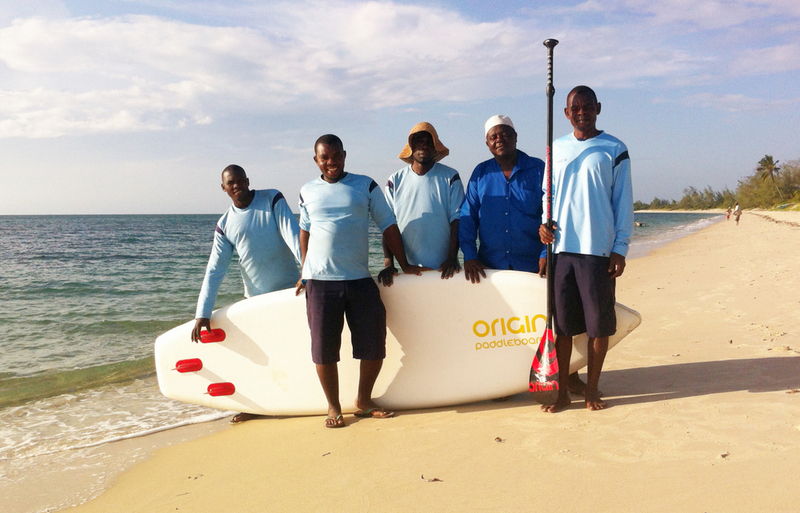 Stand up paddle boarding; wonderful way of exploring the Quirimbas and Mozambique coastline north of Pemba. In celebration of our partnership with world leading inflatable paddle board brand, Origin Paddleboards, we are offering paddle boarding to our guests free of charge. For those of you that haven't tried it yet, Stand Up Paddling (SUP) is the new buzz in the water sports industry. For celebrities it's the lure of the core-body work out (plus a great swimsuit photo opportunity). But, forget the hype, why do we love it so much? There is no better way of exploring the Guludo Bay (especially first thing in the morning when the sun is low and the water's flat) than cruising on a paddle board. In a kayak you can see just beyond the next wave, on a board you can see beyond the palms and islands. 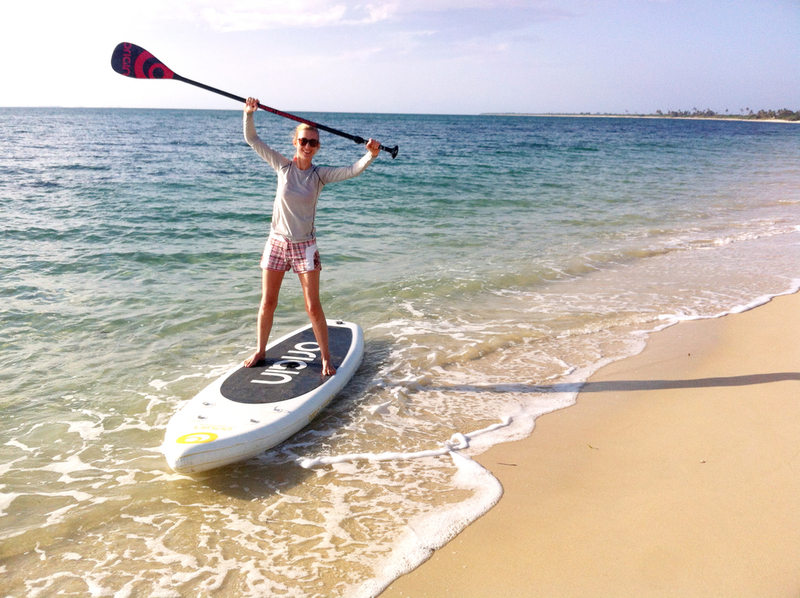 STAND UP PADDLE BOARDING (SUP) IS UTTERLY ADDICTIVE! Plus, Origin Paddleboards are created in the UK and are the highest tech, lightest and most rigid inflatable boards on the planet. So, paddling on a different board (all of which come from China) is a bit like being given frozen, chewy, well travelled prawns after eating our succulent, fresh ones in Guludo!